Welcome back for another issue of The Koalition’s Kickstarter Weekly. This week, I found some games that that focus on exploration, although some of them double as platformers. Catlateral Damage is a first-person cat simulator that let’s cat owners live out their pets’ mischievous daily lives. 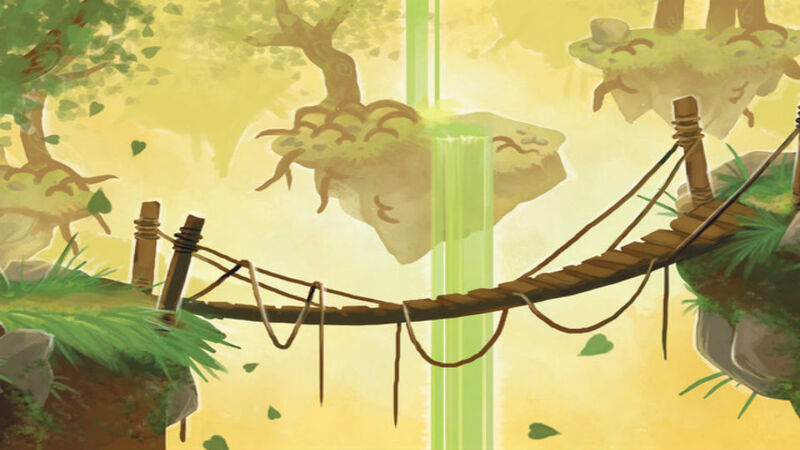 For My Brother is a platformer about a sister who gains the power of nature in order to save her younger sibling. Finally, Sunset is a first person exploration game about a citizen’s role in a war. Read on to see if any of these are worth exploring. While I’ve never owned a cat, I’ve always found them intriguing. This is probably because I spend a lot of time on the Internet, where memes, videos and other kitten-related media run rampant. Still, none of these has the potential to capture a feline’s mischievous daily life than Catlateral Damage. Catlateral Damage allows players to play as a cat in first-person. What sort of adventures does a cat go on in what’s sure to be an epic video game? Why, it goes on a neighborhood adventure to sneak into a mansion and break a secret valuable item, of course! That is unless you behave like a normal cat and do whatever the hell you want, much to the chagrin of your owners. Catlateral Damage is really a procedurally generated platformer that allows you to partake in every kitty pastime. Want to jump on shelves like you’re Super Mario? You can do that. Feel like swatting all of your owner’s belongings onto the floor? You can do that too! Want to get high on catnip and chase laser pointers non-stop? I think you already know the answer. Chris Chung has been working on Catlateral Damage since he was laid off from his video game testing job. Funding from Kickstarter will allow him to continue working on the game full-time. He’ll also be able to include more adorable feline activities. This past E3 has spawned a serious discussion about creating more games that star women as protagonists. I’m not sure how long it will take before Nintendo decides that the next incarnation of Link will be a lady. In the meantime, For My Brother is pushing this movement on Kickstarter. In For My Brother, you play as a girl who is on a quest to save her little brother. Eventually the sister gains abilities from nature that allow her to transform into certain beasts. The game portrays its characters using an insular art style, and it provides beautiful backgrounds of the forest. Fittingly enough, the game features a Celtic soundtrack, which completes the fantastic world of For My Brother. The sister can transform into two different kinds of beasts, creating a total of three different sets of movements. As a human, the sister runs and jumps like other platforming protagonists. When she grows claws, she can climb onto the sides of cliffs and other bits of terrain. When she grows wings, she gains the dash ability. The result is three new ways to approach platforming levels. For My Brother has a beautiful art style with what looks like a cool approach to platforming. This isn’t the team’s first time on Kickstarter, as they’ve had several successful campaigns in the past. That’s a good sign that this game will be finished if successfully funded. We typically see the soldier’s side of the story when playing games about war. The citizens involved in war tend to be NPCs who die from stray bullets. Sunset, on the other hand, wants players to play as a maid who seems to have more influence on the war’s outcome than anybody would ever have expected. You are a maid who cleans until the sun sets. Your employer is absent during these hours, so you’re usually not disturbed as you provide your contractual obligations. Eventually, you begin to notice things that are indicative of your employer’s high connection to the war. How this changes your relationship with your employer is entirely up to you. Similar to Gone Home, Sunset is a first-person exploration game. You have a list of cleaning objectives that you need to take care of; however, your secondary objectives depend entirely on you and what you discover about your employer. You could seduce him and use him to start the downfall of the country’s notorious dictator, or you could be entirely antagonistic towards him by just turning on the radio while he’s away. There’s no wrong way to play; you just adapt to the events as they unfold. Sunset’s developers, like For My Brother’s, has seen its share of successful Kickstarter campaigns. They have written the story and developed prototypes. They just need a little push from Kickstarter so that they don’t need to rely too heavily on their own savings.